Students love murder mystery games and the level of engagement you get during the lesson is amazing! Not only is it a student favorite, but it’s also a teacher favorite. Students collaborate with their peers, engage in meaningful discussion, and use problem-solving and critical thinking skills to solve a mystery. 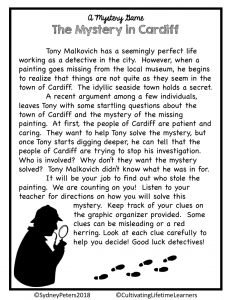 Here is a link to my mystery game resources. a good mystery! Find a variety of both murder and non-murder mysteries in my TpT store. There are mysteries appropriate from kindergarten all the way up to 12th grade. I’ve even had college professors use these mysteries in their classrooms and the students love them! Click here to see all the mysteries available. Purchase a bundle to save some money! Once you’ve selected a mystery, follow the steps below to ensure your students have a great time and get the most out of their learning experience. This is a great group activity to work on inferencing, critical thinking, and collaboration. There are several ways this mystery game can be played, depending on your class size and your preference. The first way is to split your class into teams of 3-4. Once students are split into teams and ready to play, give each student 1 clue. There are 25 clues total. The clues are not meant to be in order. Mix them up. The students will share their clue with their group first. Once all of the students have shared their clues with the group they are in, they will then join with another group and share all their clues. This will continue until the entire class has seen all 25 clues. Another way to play is to post the clues around the room and have students look at the clues on their own. A third way to play is to have students take turns reading the clues aloud until all 25 clues have been read. 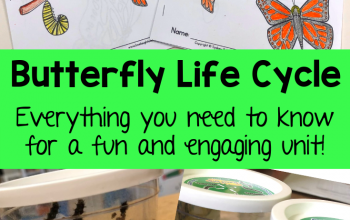 One of my favorite parts about this lesson is that it’s almost completely student-led. 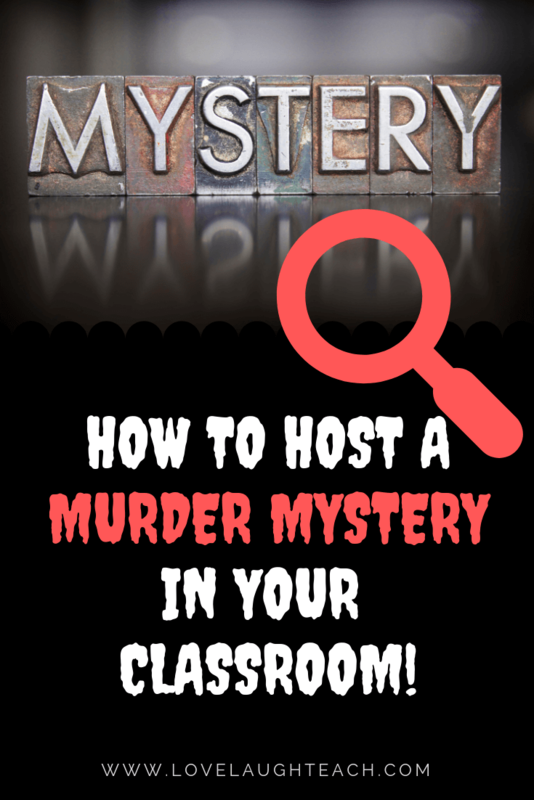 Once you’ve handed over the clues and explained how the game works, students should be able to rely on peer collaboration to solve the mystery. 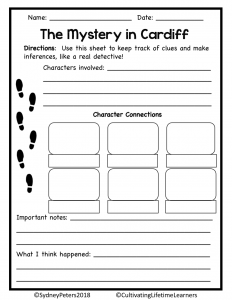 Each mystery includes a graphic organizer to help keep students focused and organized. Use this worksheet at the end of the lesson to see how students processed the information and to determine how involved they were. One of the most powerful pieces to this lesson is the whole group discussion at the end of the lesson. Students use the information provided to debate and discuss their theories about the mystery. As a teacher, it’s amazing to be able to sit back and listen to your students openly discuss an engaging lesson. Even the students who don’t speak up often will be excited to share their thoughts. When do I use this mystery and how much time should I plan for? I use these mystery games every other week as incentives. My students love them so much, they beg for more. Some teachers use the mystery games at the end of units, before or after school breaks, at the beginning of the year as an icebreaker, or for a sub. There are so many ways to use this mystery and it hits so many standards, you won’t need an excuse to play. I usually plan for about 60 minutes, but depending on your students, you may want to plan for more time. Check out more feedback from teachers all over the world! Be sure to check out, What is Inquiry-Based Learning?